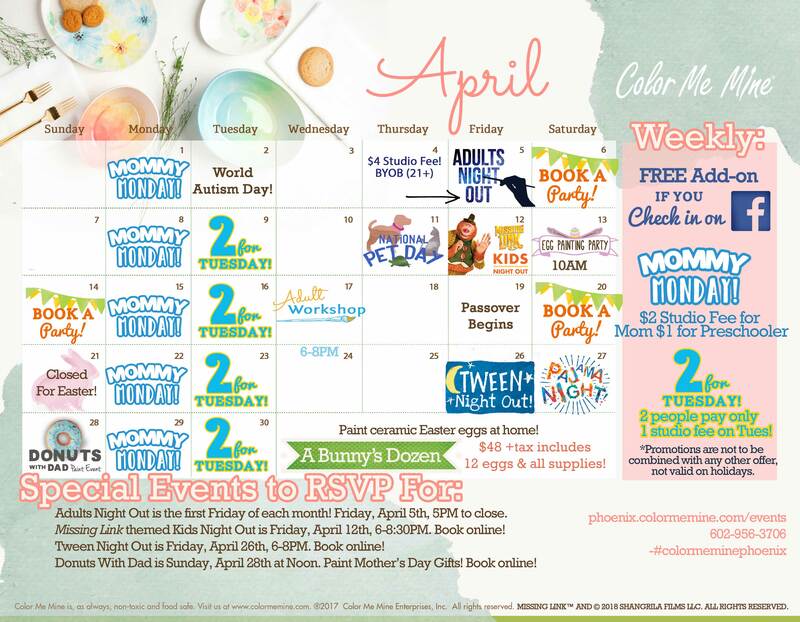 Join Color Me Mine all month long for exciting pottery painting events! See flyer for full April calendar. Promotions are not to be combined with any other offers, not valid on holidays.